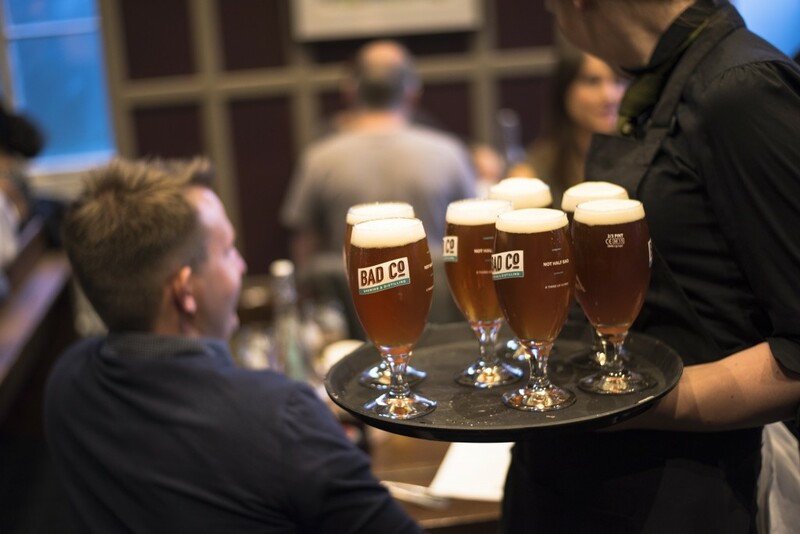 Located in North Yorkshire, BAD Co beers are inspired by the American approach to brewing and the current British craft brewing renaissance. Their range of award winning beers are crafted brewed and packed with outstanding flavours. Who are you and what do you do? 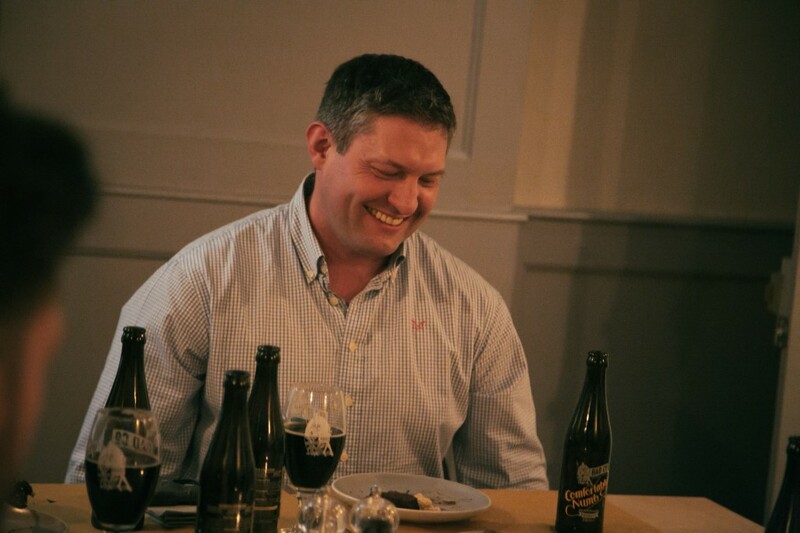 Paul Holden-Ridgway – Head Brewer at the Brewing & Distilling Company (aka. BAD Co.). We’re a progressive brewery based in North Yorkshire and have been brewing beers in our brewery on an airfield since 2014. What was the inspiration for starting the brewery? After a trip to the USA where I became massively inspired by craft brewing, I started my own nano-brewery in a room above the pub in which I’m the landlord and set up a brewing club. I tested my beers on regulars to the pub and found that they went down really well and I couldn’t produce enough to supply demand. That led me to start working for a local brewery learning the craft on a bigger scale and eventually BAD Co. was born, created with David Brown, a local businessman with a passion for craft beer and knowledge of the manufacturing industry. What’s the story behind the brewery name and logo? We started with craft brewing but have a plan to get into distilling also so the “Brewing & Distilling Company” made perfect sense, especially as BAD Co. has such great connotations. Our beers are inspired by the American approach to craft brewing and follow a musical theme, mainly from rock songs that go really well with great beer and together, complement any night out or night in. Although we’re inspired by American craft brewing as they’re leading the way in terms of progress, we’re really proud to be British so wanted to use a British icon in our logo. We commissioned an illustrator to do a “BAD” take on Britannia, someone who’s confident, fun, and cheeky and she quickly became our very own mascot. Where do you see, or hope to see, the brewery in 5 years’ time? Hopefully with an expanded premises, production capacity and product range! Serving BAD beers all over the UK and abroad. Looking ahead, what new things can we expect from BAD over the coming months? 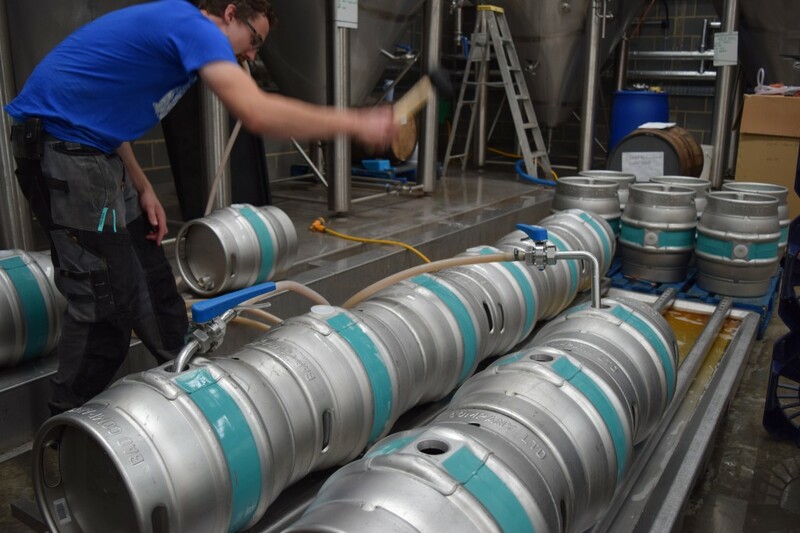 We’ve been doing some lovely oak-aged beers – our dark beers, Dazed & Confused and Satisfaction, lend themselves beautifully to oak ageing. We’re also going to be announcing a new style to add to our core range which we’re really excited about. Are there any other breweries which have influenced you? A couple of fantastic ones from the states. With some amazing hop-forward beers it has to be a combination of Dog Fish Head, Left Hand Brewing and Stone. You can’t go wrong with a mix of these guys! What do you think makes a great beer? A combination of simplicity, balance and consistency. A good beer should have all three in abundance. What drink can you no longer face having had one too many? Southern Comfort, without a doubt. It was part of an initiation into the Marines which has seen me steer well clear of this one ever since! What is your favourite style of beer? It has to be a German Märzenbier. A style of Bavarian Amber Lager but it’s a tasty style of beer which you can’t look past. What is the silliest thing you’ve done whilst drunk? I once swam through a pool of sharks in Belize while on tour with the Marines. The prize was a case of free beer at the end for anyone who dared to do it. So, of course I was the first one in! You are stuck on a desert island, what three things are you taking with you? I’ve done a lot of survival courses since leaving the Marines so my answers are definitely more practical than indulgent – it’d have to be a Parang knife, a Bivy to sleep in and a firesteel to keep warm and cook! Thanks to Paul and BAD for chatting to us.